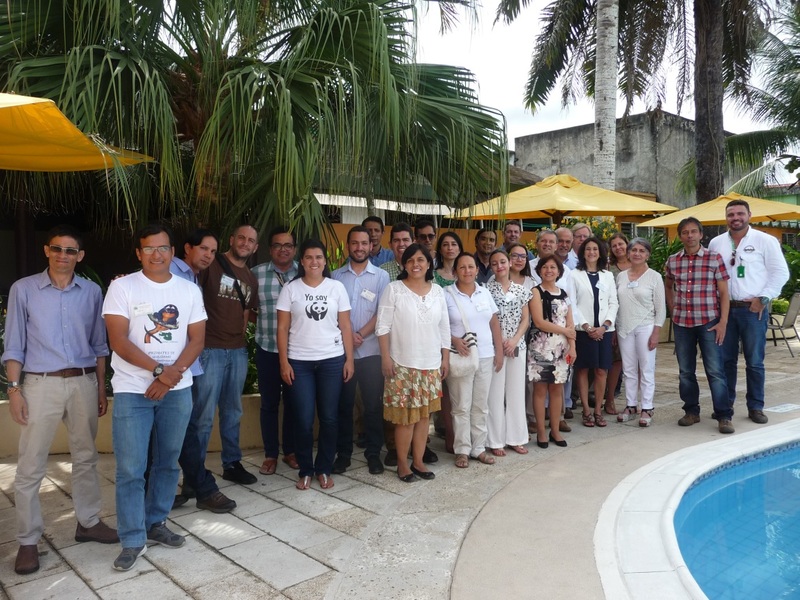 Regional Initiative for the Conservation and Sustainable Use of Amazon wetlands was launched on the 24 April in Leticia, Colombia. The first meeting of the Initiative was opened by the Vice Minister of Environment, Carlos Alberto Botero Gómez, María Claudia Velez from the Ministry of Foreign Affairs and the Secretary General of the Ramsar Convention, Martha Rojas-Urrego. Carlos Alberto Botero Gómez welcomed delegates from Ramsar Contracting Parties of the Amazon River Basin: Bolivia, Brazil, Colombia, Ecuador and Venezuela. He highlighted the importance of joint action for wetland conservation. María Claudia Velez said that the Initiative is an opportunity to strengthen synergies among different stakeholders. Martha Rojas-Urrego reminded that Amazon wetlands have not been properly recognized and therefore the importance to take concrete actions for their conservation under the Initiative is critical. 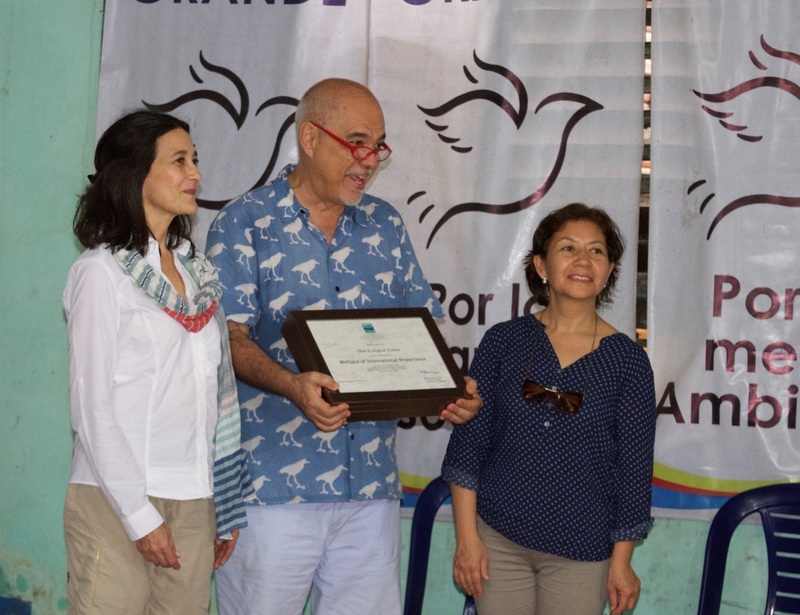 Martha Rojas-Urrego (left) presented to José Pedro de Oliveira Costa (center), Secretary of Biodiversity of the Ministry of Environment of Brazil, four Ramsar Sites certificates for Taim Ramsar Site and three Amazon Ramsar Sites: Anavilhanas, Guaporé and Viruá. During a visit to Tarapoto wetlands Martha Rojas-Urrego presented to José Pedro de Oliveira Costa, Secretary of Biodiversity of the Ministry of Environment of Brazil, four Ramsar Sites certificates for Taim Ramsar Site and three Amazon Ramsar Sites: Anavilhanas, Guaporé and Viruá. Martha Rojas-Urrego also commended the Colombian ministry for their participative approach collaborating with regional and local authorities, communities and NGOs for the designation of Tarapoto wetlands as Ramsar Site.